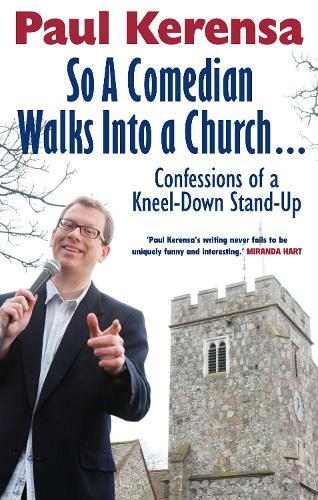 Comedian Paul Kerensa is a church-hopper. Not because he can't settle, but because his job sends him all over the country, every weekend. Every Friday and Saturday night he's hurling jokes at audiences in different towns - it can be hen parties in Birmingham one weekend, a Cornish arts centre the next. His ritual has always been to find dirt-cheap Saturday night accommodation, and an enriching nearby church on Sunday morning. In his experience, the churches are more diverse - and more often than not tougher gigs - than the secular comedy circuit. So a Comedian Walks Into a Church ... is the hilarious diary of Paul's unusual life. Behind the gags, church-goers will learn some valuable lessons about how they present themselves to strangers.